eharmony published a new promotion for their online dating service. They are offering $15.95 a month if you subscribe to a 12 month membership. This is 73% off of their standard price if you subscribe for just a month. 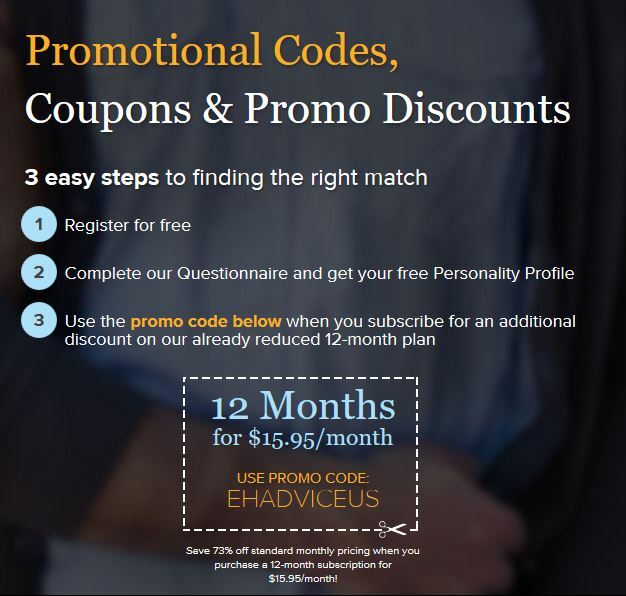 Click to sign up and use the promo code – EHADVICEUS to get the promotion. In order to qualify for this promotion, you must be a new member. If you already have a profile, you can create a new profile to take advantage of the promotion as it doesn’t say it is against its terms and conditions. However, you will have to go through the questionnaire questions. It may be good to update the questions may have changed.